Four UAE national team golfers will enjoy a once in a lifetime playing experience at the Ras Al Khaimah Challenge Tour grand final next month. They will go head-to-head at the stunning Al Hamra Golf Club in the Ras Al Khaimah National Matchplay Challenge, being played on the second day of the season-ending tournament, November 1. The two teams competing will be made up of one senior and one junior national team player with Saif Thabet (Abu Dhabi) and 14-year-old Obaid Al Heloo (Dubai Creek Golf & Yacht Club) taking on Ahmed Skaik (Address Montgomerie) and 16-year-old Rashid Al Emadi (Dubai Creek Golf & Yacht Club) in the 18 hole betterball matchplay gross event. Scratch golfers Thabet and Skaik both recently impressed at the 38th Pan Arab Golf Championship for the UAE team where they finished fourth out of 12 countries while Skaik secured a highly impressive fifth in the individual category. Junior golfers Al Heloo and Al Emadi will also be representing the country in two week’s time as the two make their way to Morocco for the Junior Pan Arab Golf Championship. “It’s going to be a great experience playing on the same course as the Challenge Tour stars,” said Al Heloo. The four golfers will be in for a stern challenge as they play the same course setup as the next generation of golfing stars and are set to be treated to the best-conditioned course to date after all 40 course bunkers were renovated; fairway contours reinstated, tee complexes realigned and greens expanded following recommendations from world-renowned golf course architect Peter Harradine earlier this year. The Ras Al Khaimah Challenge Tour grand final, which is only open to the top 45 golfers on the 2018 Road to Ras Al Khaimah, will take place from Wednesday, October 31, to Saturday, November 3, with players looking to secure one of the 15 coveted European Tour cards available for next season which are awarded to the top 15 players in the rankings following the conclusion of play. Khalid Mubarak Al Shamsi, secretary general of the Emirates Golf Federation said: “To have the Ras Al Khaimah National Matchplay Challenge as part of the Challenge Tour grand final is a great opportunity for our nationaltTeam players. The Ras Al Khaimah National Matchplay Challenge will tee off at 11:20 on Thursday, November 1, 30 minutes after the final Challenge Tour group, with the winning team being invited back on the final day to receive their trophies. 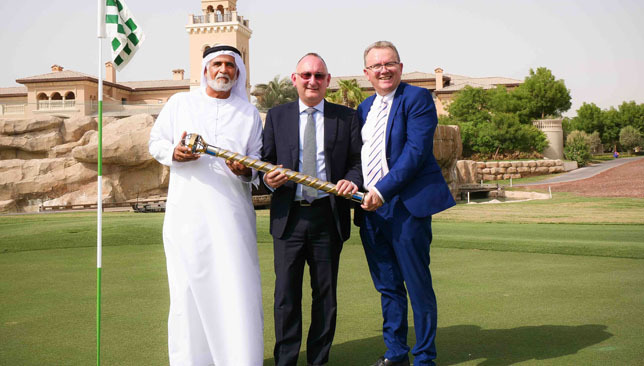 “This is another exciting local initiative that will help grow the game of golf in the region,” said Nick Tarratt, Director, European Tour Dubai Office. “When events like the Ras Al Khaimah Challenge Tour grand final come to town we want to help out the local community instead of just being a visiting circus for a week. 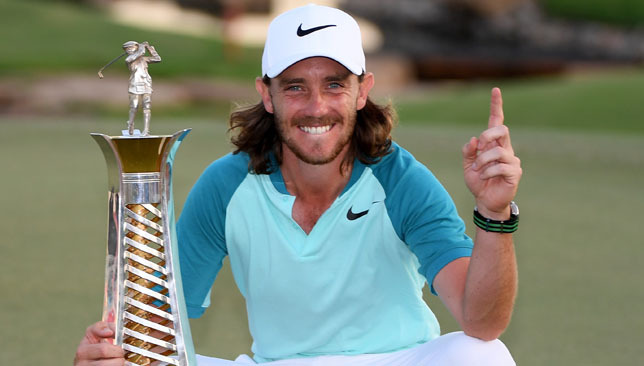 Leading insurance company Zurich has become the latest sponsor of the DP World Tour Championship and is to give golf lovers a once-in-a-lifetime opportunity to gain a private golf session with reigning Race to Dubai champion Tommy Fleetwood. The global firm will join the growing list of sponsors of the European Tour’s season-ending grand finale and they are to mark the start of a three-year agreement by offering 10 competition winners the chance to get up close and personal with Zurich Golf Ambassador Fleetwood at next month’s tournament in Dubai. Hosted by Zurich, the European No1 will conduct the private golf clinic at the European Tour Performance Institute on Wednesday, November 14, the day before the Race to Dubai’s top 60 players tee off for the opening round of the DP World Tour Championship. “I’m looking forward to the climax of the season at the DP World Tour Championship and it will be great to pass on some tips to the competition winners attending the clinic,” said World No12 Fleetwood. Nick Tarratt, Director European Tour International Dubai Office, added: “We are excited to welcome Zurich on board as a sponsor for the DP World Tour Championship. “With Justin Rose, Tommy Fleetwood, Sergio Garcia and Jamie Donaldson all being Zurich Golf Ambassadors there is already a strong connection between Zurich and the European Tour. To win, golf lovers simply need to answer a simple question on the Zurich Middle East Facebook page. The ‘Play with the best’ contest will run for four weeks and there are 10 spots up for grabs. Each week, two winners will be picked at random, with four lucky winners being picked in the final week. The competition starts on Monday, 08 October. 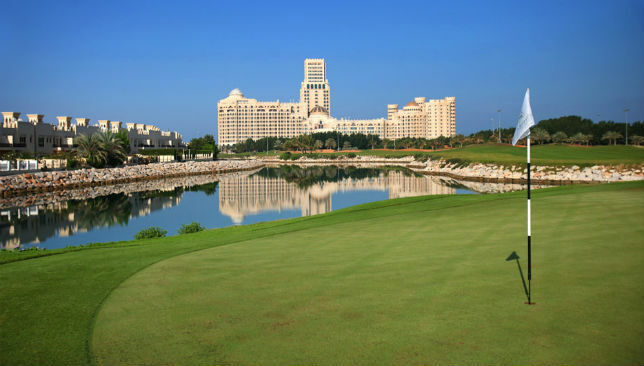 The DP World Tour Championship takes place at Jumeirah Golf Estates from November 15-18. The DSA team with Sharpe (2nd r). Former Manchester United midfielder Lee Sharpe proved that he is as classy and entertaining off the football pitch as he was on it when he joined the fun at the DSA Open at Emirates Golf Club to help support the Friends of Cancer Patients charity. The event, part of the increasingly popular DHL Swing Against Cancer Golf Series, saw a full field of 120 golfers take to the famous Majlis course for a day of golfing action before ‘Sharpie’ regaled 190 dinner guests with hilarious tales from his days playing for Sir Alex Ferguson’s all-conquering side of the 1990s when he was treated to the legendary manager’s ‘hairdryer’ treatment on more than one occasion. As well as being an unforgettable occasion for all who attended, the event, organised by Worldwide Golf and Sixteen10, had a serious goal in raising awareness for Friends of Cancer Patients and supporting the treatment of four-year-old Mohamed Sameer Abdullah who was recently diagnosed with leukemia. “It is always nice to get involved in a good cause,” said Sharpe who was one of the most exciting talents of a United side that won two consecutive Premier League and FA Cup doubles in 1992/93 and 1993/94. 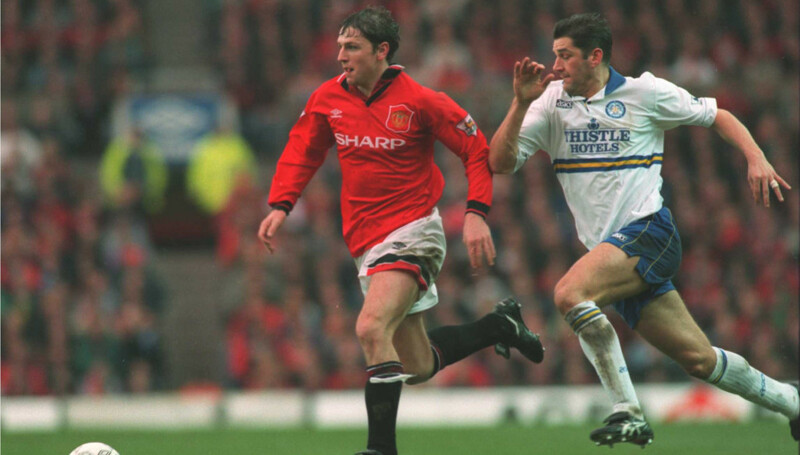 Lee Sharpe won three Premier League titles and two FA Cups with Man United. Started in 2017, the Swing Against Cancer Golf Series has gone from strength to strength, with a veritable who’s who from the worlds of sports and entertainment show their support. The list includes Harry Redknapp, Teddy Sheringham, Gary McAllister, Dietmar Hamann, Mike Tindall and Michael Campbell, as well as former Westlife singer Brian McFadden. In addition to May’s DHL Open at the DP World Tour Championship venue Jumeirah Golf Estates and last week’s event, the 2018 DHL Swing Against Cancer Golf Series is already well on the way to topping previous totals. 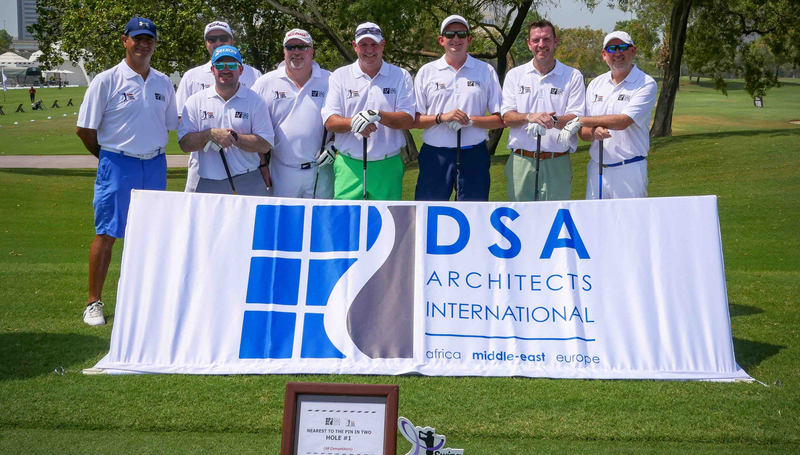 As well as capturing the imagination of the UAE’s golf and sport lovers, the success of the series has been down in no small part to the support of its partners, key among which are series sponsor DHL and Platinum partner DSA Architects. “It was an amazing turnout for this great charity event,” said DSA Architects managing director Steve Kelshaw. “As a corporate entity, we have a responsibility to create something that we really believe in and to have this level of interest and support have been overwhelming. “Dubai is our home, we have been here for 25 years and we feel that we should give back. Cancer plagues all societies and it has touched everybody throughout the years so for us it is the right charity for us, it is in our own backyard and we are playing a game that we love so it’s a no brainer. 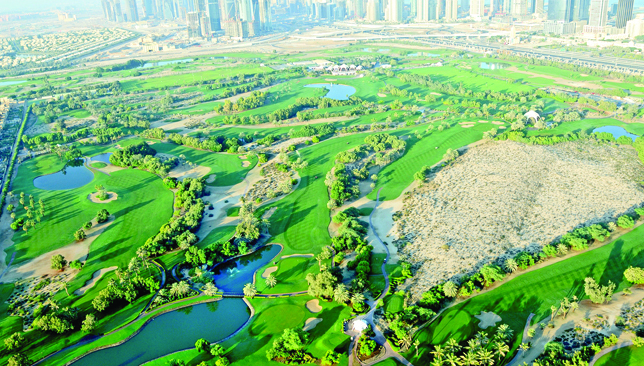 The pride of Dubai Golf: Majlis Golf Course and Faldo course from air. Worldwide Golf’s Rick Bevan said: “These events just keep getting bigger and better and our local partners are really hands on so we’re incredibly fortunate and grateful to have them. The DHL Swing Against Cancer Golf Series culminates in the grand final which runs alongside the Mike Clark Golf Day on the Earth course at Jumeirah Golf Estates on Thursday, November 1, two weeks before the Race to Dubai’s season-ending DP World Tour Championship. For more information on any DHL Swing Against Cancer Golf Series event, or to find out how you can get involved, email [email protected] or visit www.swingagainstcancer.com.